Nemesis is a Diabolic – a humanoid creature created to protect one individual, and destroy anything that threatens them. Nemesis is bonded to Sidonia, daughter of galactic Senator von Impyrian, whom the Emperor considers a threat and a heretic. When the Emperor summons Sidonia to the galactic court, Nemesis knows this could be a death sentence, and finds only one way to protect her – she must become Sidonia, and visit the court in her place. Amongst the Grandiloquy, Nemesis discovers the true intentions of the Emperor, as well as of his heir Tyrus, said by all to be a madman. Whilst learning to navigate court intrigue, attempting to hide her true nature, and being away from Sidonia for the first time since their bond was created, Nemesis begins to discover the one thing that she believed Diabolics didn’t have – her humanity. 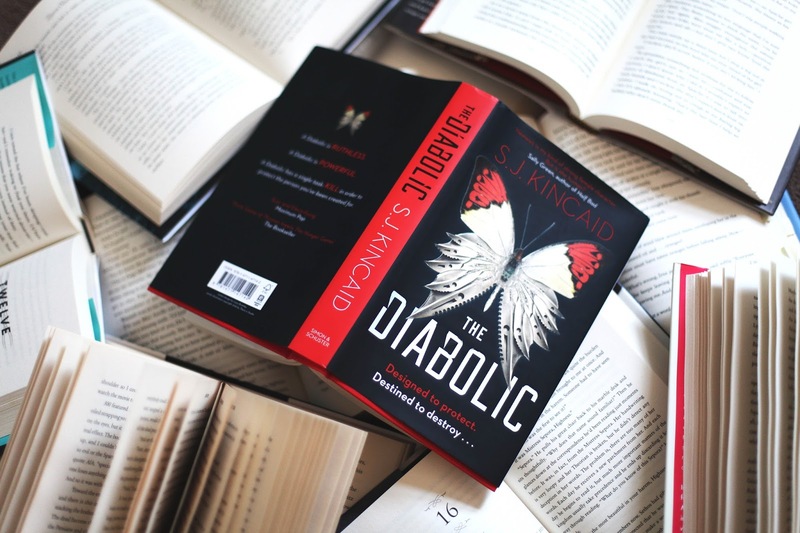 When I first started The Diabolic, I described it to my husband as being “like Ancient Rome but in space”. I’m sticking by this description, as simple as it is. This was a very odd mash-up of worlds – the political and court intrigue in the style of the Roman Empire, with Roman titles and Latin-esque names, but in a futuristic world where Earth has become unsustainable, those living planet-side are viewed as commoners, Senators live on their own huge ships and rule over small sections of the galaxy, and the Emperor’s court is made up of numerous spaceships all docked together. Although I’ve read many Roman/Grecian style novels, I’ve never read any Sci-Fi ones, and I did really enjoy this aspect of The Diabolic and the world-building in it. In terms of characters, I loved Nemesis. She went through so much character development, and although “unhuman creature finding their humanity” may sound like a bit of a trope or a stereotype, it really wasn’t in this book! Nemesis’s thought processes and inner conflicts with herself, her feelings and her behaviour played out really well. Because of this, despite her supposedly being unhuman and without emotion (which definitely wasn’t true), she was actually a really easy character to relate to. I loved how protective she was over Sidonia, and how Donia always saw her as an equal and saw her humanity, even if everyone else in the Impyrian household and in the Emperor’s court believed her and other Diabolics to be nothing more than servants without feelings. There is a romance in this book, but I didn’t think it was a bad one. It wasn’t rushed into and the way that it was built up, it just seemed to make sense, especially with the events going on around the characters, and with the characters own developments and storylines. A lot of reviews that I’ve read for this book seemed to think that it was too violent. Perhaps it’s my dark British mindset and sense of humour, but I just didn’t agree with this. Yes, it was violent, it was bloody, and it was packed full of nasty plots and backstabbing, but I just didn’t think it was too much? I’ve definitely read more violent books – the ASOIAF series is darker and bloodier than this book by far. Obviously this is just my personal opinion, as it’s others that it’s too violent, but I just wanted to say don’t let the violence put you off! Chances are you’ll be like me and not see it as being too far. Although I was happy with how the book ended and I wasn’t expecting the very final plot twist, I didn’t like what happened to lead to the conclusion, if that makes sense. I won’t say anything else about this as it’s a big spoiler! 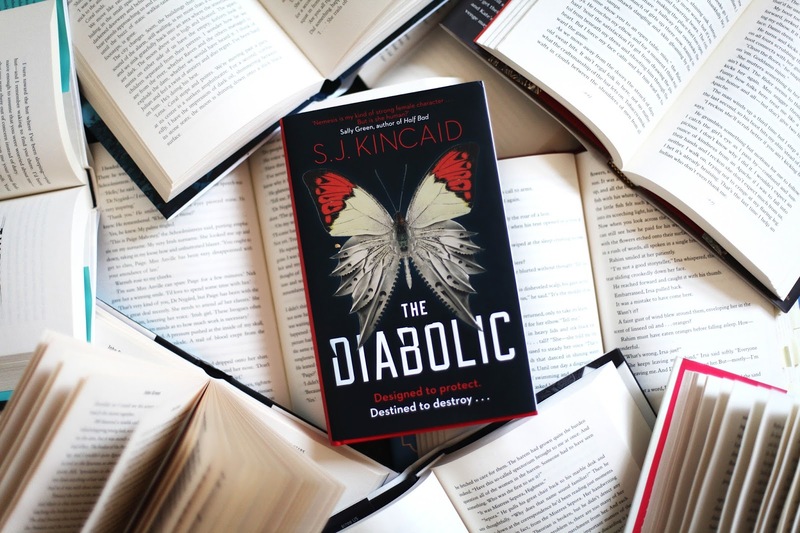 Overall, I enjoyed The Diabolic; it would have been almost perfect if the last few chapters had been slightly different and if they’d maybe been a bit less rushed. I think that this book could have easily had another hundred pages or so and benefited from it, and I definitely would have liked to know some more about certain characters, as well as the world it’s set in in general.